Islamabad : The Higher Education Commission (HEC) will take measures to develop academic relations with Morocco in order to promote higher education and collaborative research between higher education institutions of both the countries. This was stated by Chairman HEC Dr. Tariq Banuri in a meeting with Mohamed Karmoune, Ambassador of Morocco to Pakistan during his visit to the Commission Secretariat. He said HEC will build linkages with the Ministry of Higher Education and Scientific Research, Morocco through the Embassy of Morocco in Islamabad. 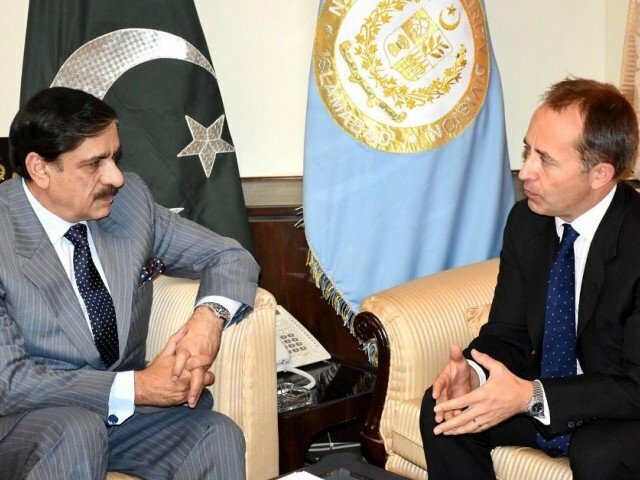 He stressed the need for initiating faculty and student exchange programmes between the Pakistani and Moroccan universities. Dr. Banuri, who also has additional charge of Coordinator General COMSTECH, emphasized on endeavours to embark upon programmes for promotion of science and technology among OIC member countries.